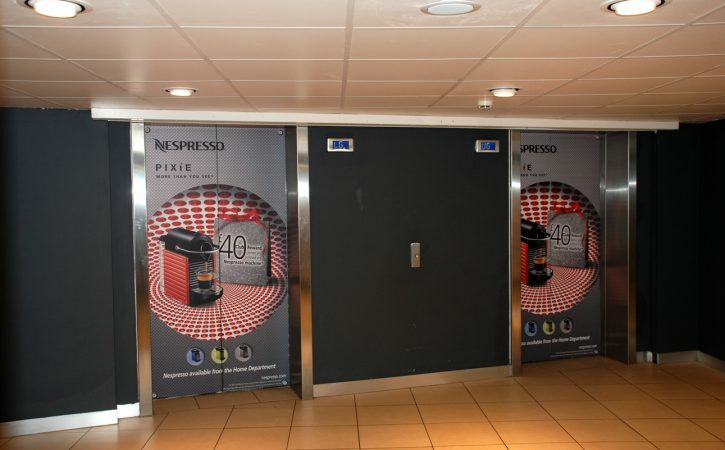 We have worked with Nespresso on a number of their seasonal in store promotions. 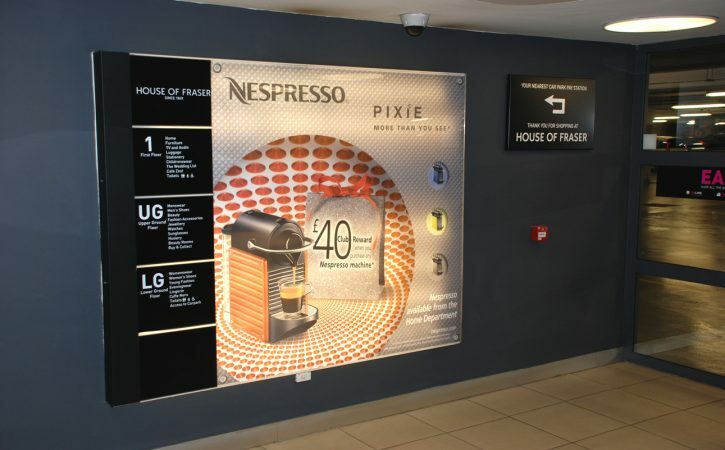 The signage includes point of sale displays, large printed wall graphics that are applied to lifts and stairwells and illuminated wall graphics. 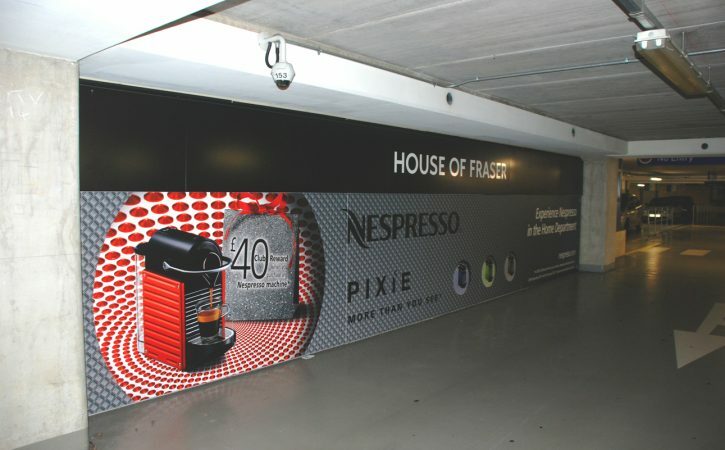 Harrisons offer wide format digital printing on a number of different media’s including short-term 3 year promotional self adhesive vinyl’s ideal for internal and external applications that require clean removal after event. Polyester based back-lit film was produced for the large illuminated panels. Using this material allows light to travel through the image to illuminate the graphic from behind. 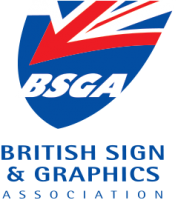 All our wide format digital printing is produced in house, on either our Mimaki JV33 or our newest recruit, the JV400-SUV Series printers, which produces stunning images with brilliant results. 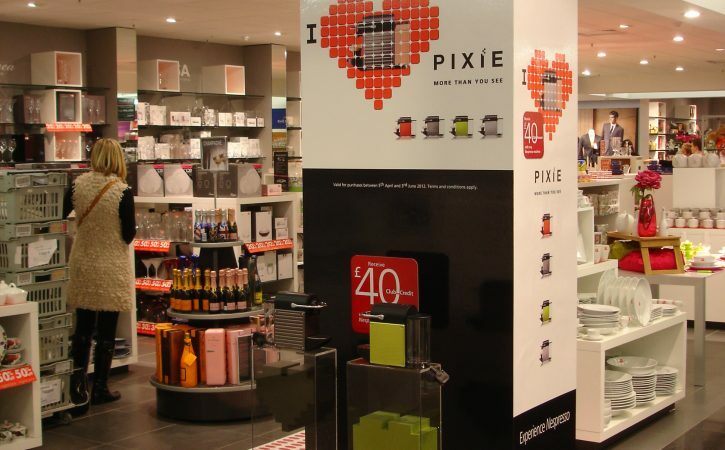 Gloss or Matt over-lamination can be added to enhance your graphics vibrancy & durability. If you require them installing, not a problem, we have fitting crews available nationwide.